Everyone hates doing the washing up, especially when you’ve got pots and pans to scrub. 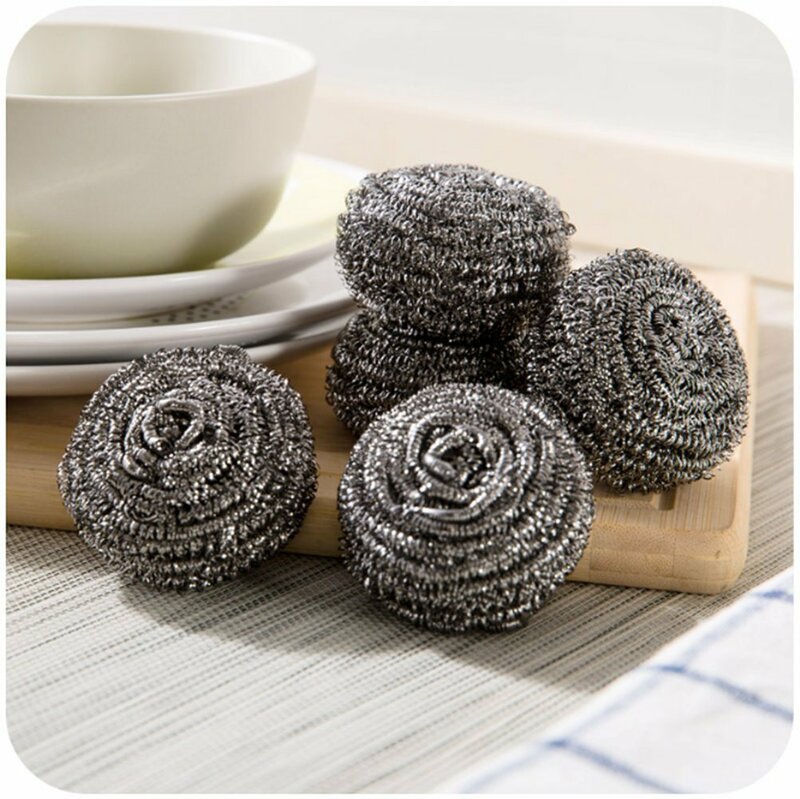 These incredible little nylon dish scrubbers make life easier. They are the perfect size to grip in your hand, and with just a few scrubs your dishes and cookware will be as clean as a whistle. Even better, you get two six-packs of scrubbers. 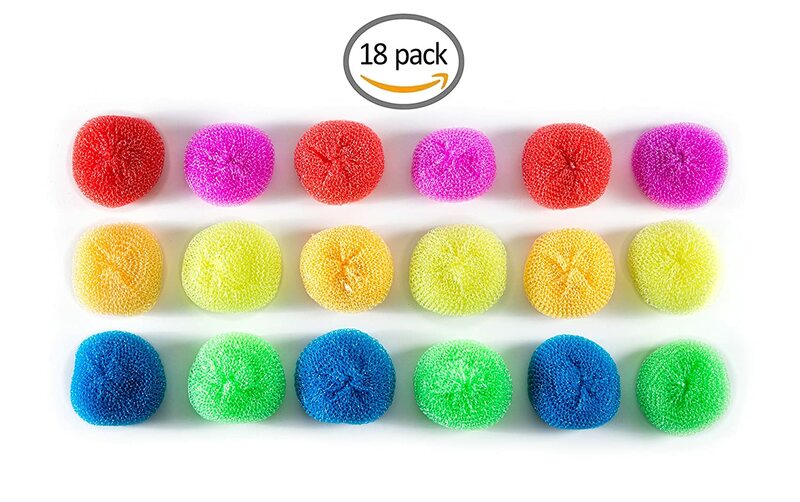 That’s 12 in total, in a range of bright, vibrant colors, so you’ll always know that you’ve got a fresh scrubber to hand. 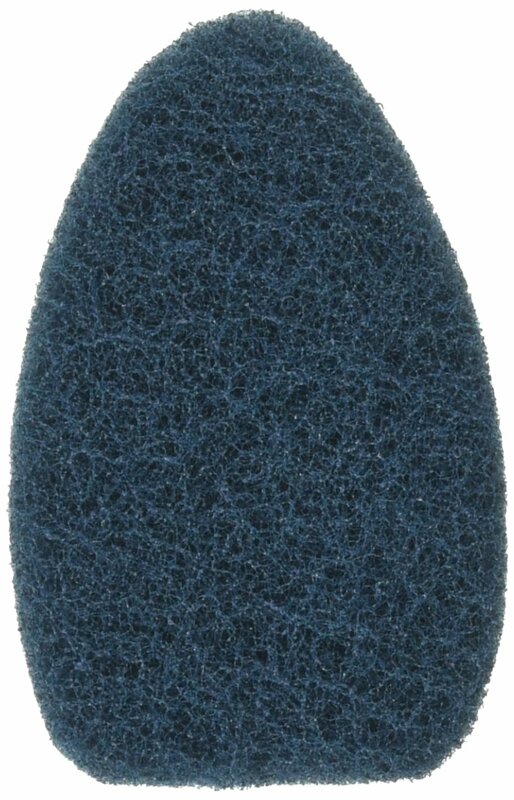 These scrubbers are great value, but they aren’t cheaply made or flimsy. They won’t unravel or come apart, even when you’re scrubbing hard. They are made to last for weeks and weeks of hard, daily use. 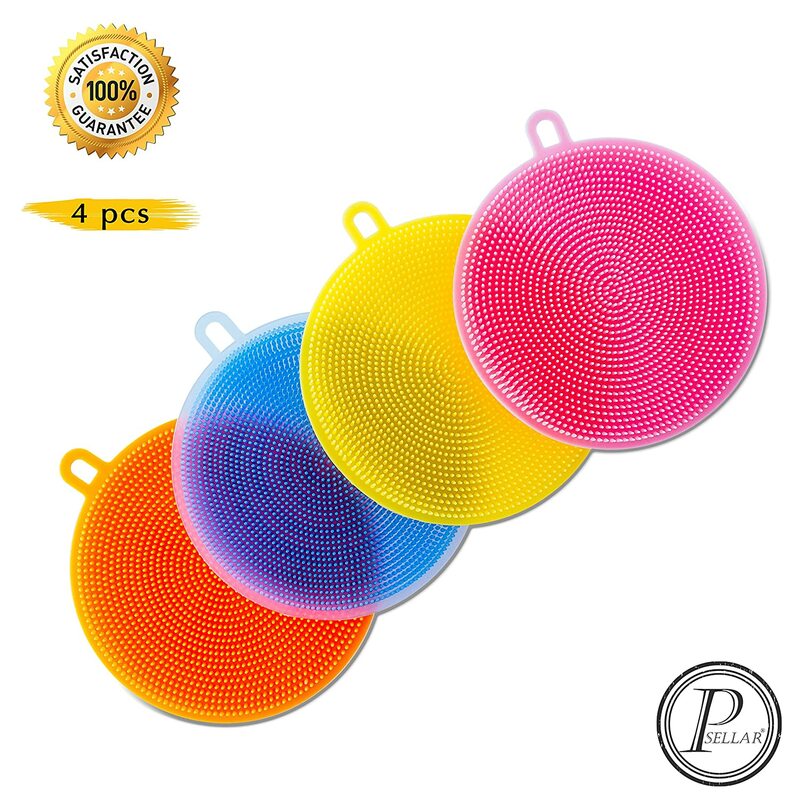 And even though they’re incredibly tough on burnt-on dirt, the nylon design is soft on your non-stick cookware or other delicate items. You can scrub hard with confidence. Studies have shown that normal kitchen sponges are a fertile breeding ground for germs and other dangerous bacteria. When you use them every day, you’re just spreading the bacteria all over your dishes. These scrubbers are different. Because they’re made of nylon, they aren’t a good environment for bacteria to live. That makes washing dishes safer, and protects your family from nasty bacteria. 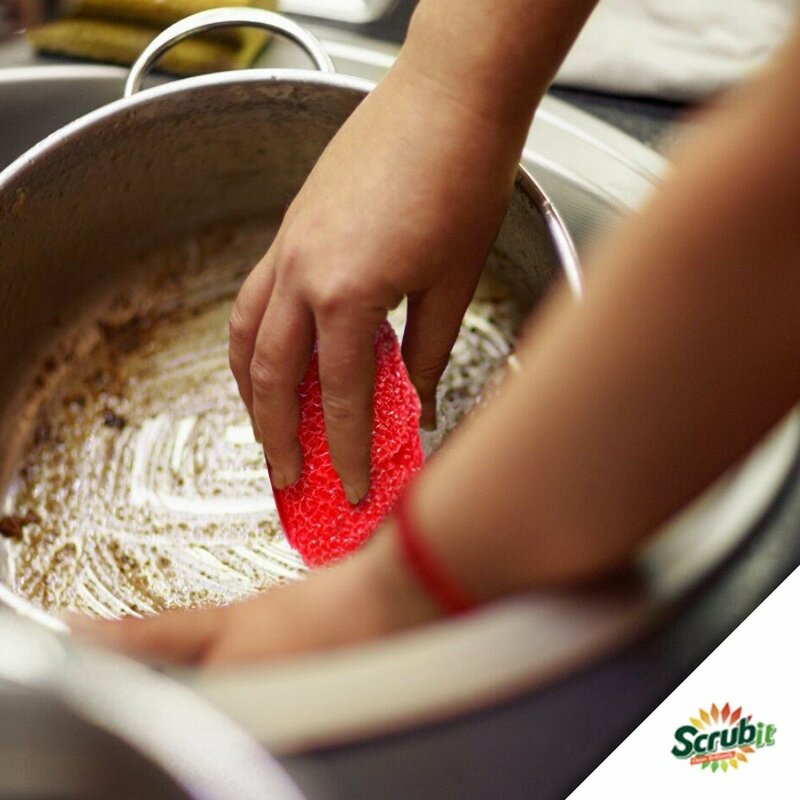 We’re confident that you’ll love these scrubbers, but if you aren’t completely satisfied with them at any point, simply return them to us for a full refund. We’re more than happy to let you try them risk free. Who writes reviews for scrubber pads? No one! Because they are the same everywhere you go, completely indistinguishable from one brand to the next. Except these. They're crap. 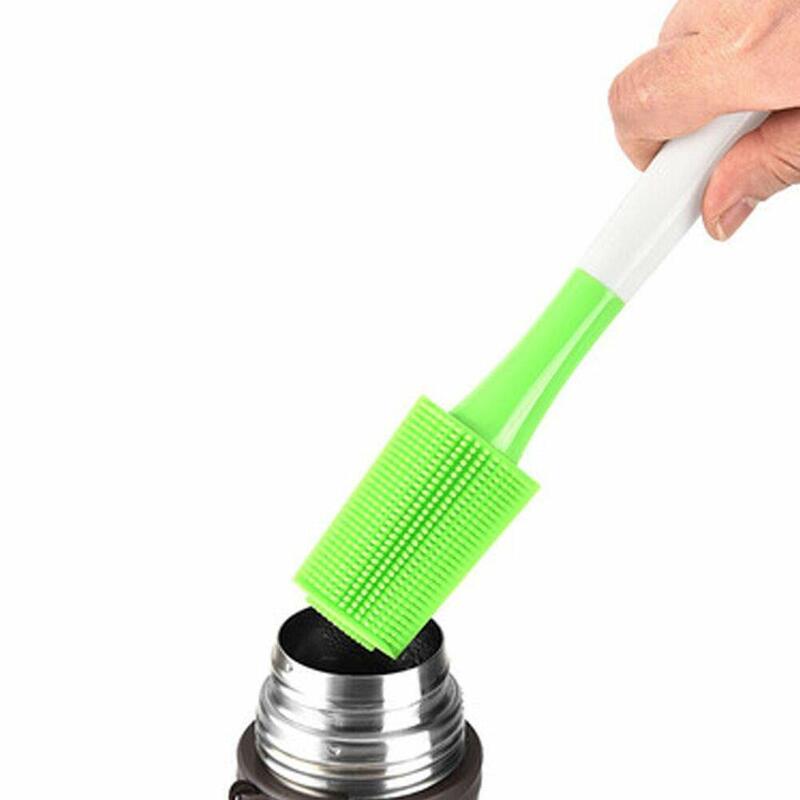 The scrubber has less plastic than others and it comes apart quickly. I ran through these. I shouldn't care about my scrubbers. These sucked enough that I started to spend emotional energy on them and am now wasting time typing up a review. For scrubbies. I guess I need to stop hoping to find products that are as good as what just wore out after years of use. These are OK scrubbers. They just can't compare with the one I've had for years. It was larger and had a handle. (I can't find them anywhere now.) 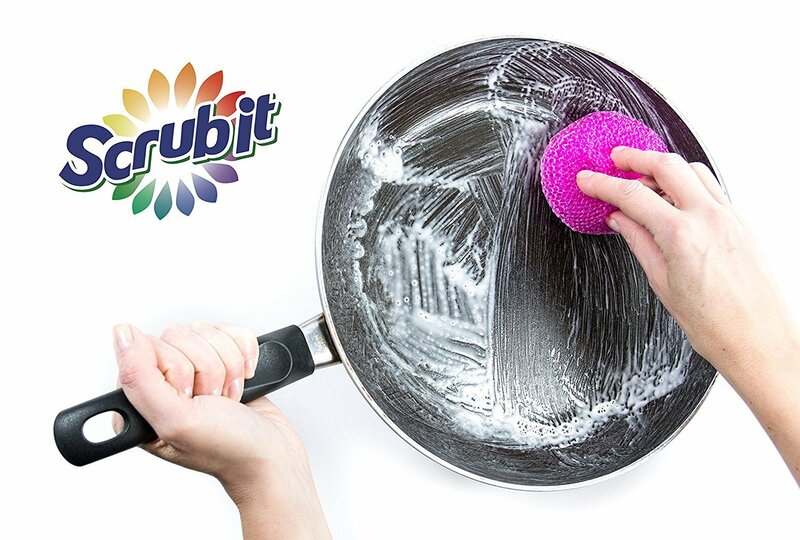 I used it to clean our cast iron pans. 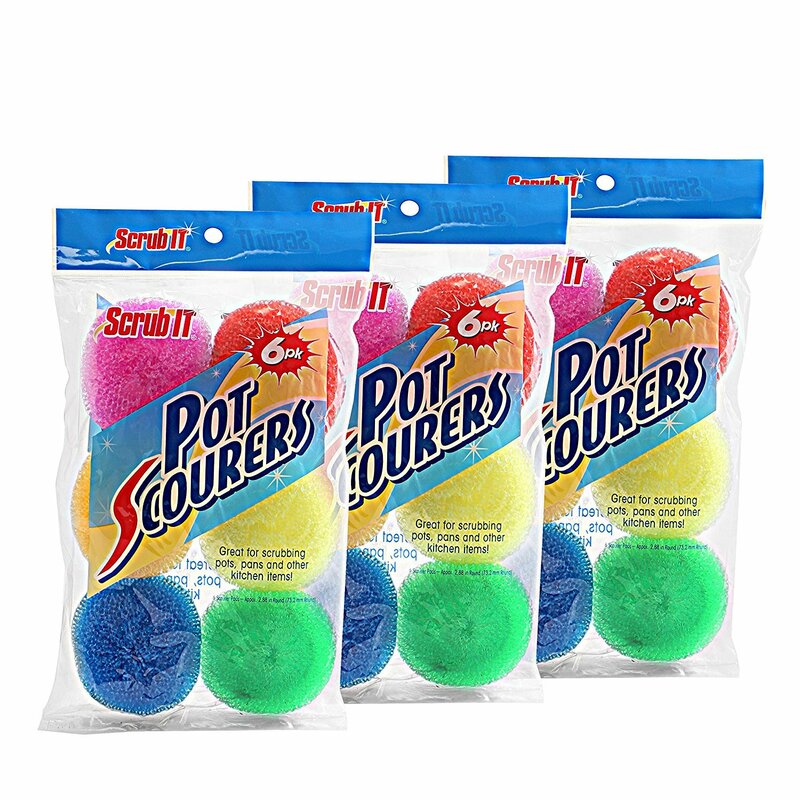 These scrubbers are made with a tighter mesh. So, it's harder to get the little bits of food out, which is time consuming, and a pain. They are smaller, so it takes more scrubbing. I'll keep looking for something that might be more like what I had that I loved. In the meantime, I'll use these. 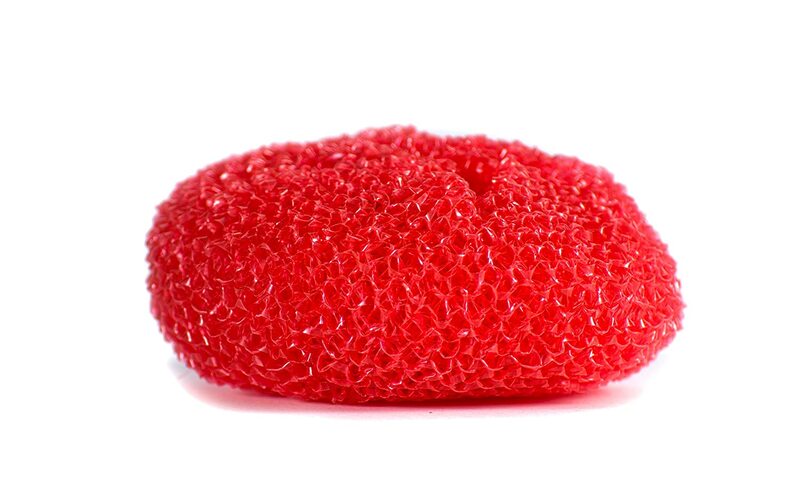 I purchased these nylon scrubbers for an unconventional purpose: Cat toys. 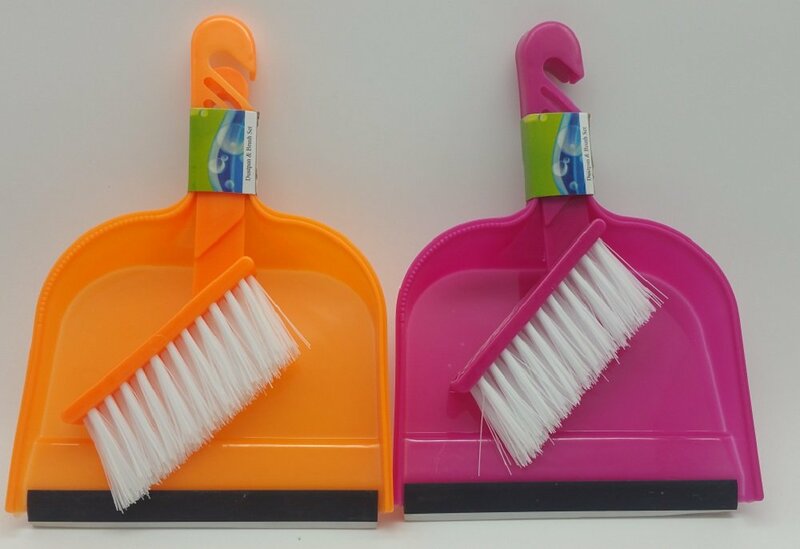 They are working very well as cat toys - I had two cats who regularly chewed on the nylon dish-brushes I keep at the sink, and I have three kittens who eviscerate stuffed cat toys - so thought these nylon scrubbers might work for both my dishbrush chewers as well as my savage kittens. And since I bought 18, we have a few left over to actually use as intended - as pot scrubbers. 5-stars to both uses. Cats and kittens are enjoying the two I have given them, they are tough, hard to chew through, and are a very safe and inexpensive cat toy; I find them moved around the house, they are lightweight and are being tossed and carried around the house. As a pot and plate scrubber - they also do the trick. Quality is better than what I've found in in grocery and discount stores. Speaking of discounts: the price on these is great; plenty of bang for your buck. Delivery was super fast, too. Am very happy with this seemingly small purchase; the little things really do count. I'm also happy with the seller. Iu2019ve used these for years. I use one and it comes apart in about a week, whereupon I throw it out and reach for another. Rinse and repeat. Itu2019s a sanitary replacement for a sponge. The system works well as long as I bear in mind that theyu2019re disposable. Thatu2019s why this pack of 18 is great. My supermarket stopped selling them, but I wasnu2019t ready to stop buying them. Too bad for them, theyu2019ve been doing a lot of that lately. They keep shooting themselves in the foot. While theyu2019re limping around, I simply look in Amazon, and, hey, what do you know, they nearly always have it. For some reason these have become very hard to find in supermarkets. Their advantage is that unlike some other scrubbing pads, it is easier to get any cleaned particles out of the pads themselves, thus prolonging their life and usefulness. Others which I've had are impossible to clean, so that you end up cleaning a pan and then cleaning the pad.